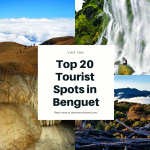 Kapangan is best known for its majestic Badi falls, now a growing ecotourism destination in Benguet. 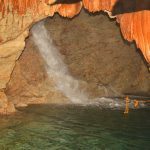 However, did you know that Kapangan also boasts of caves and other natural spectacles? 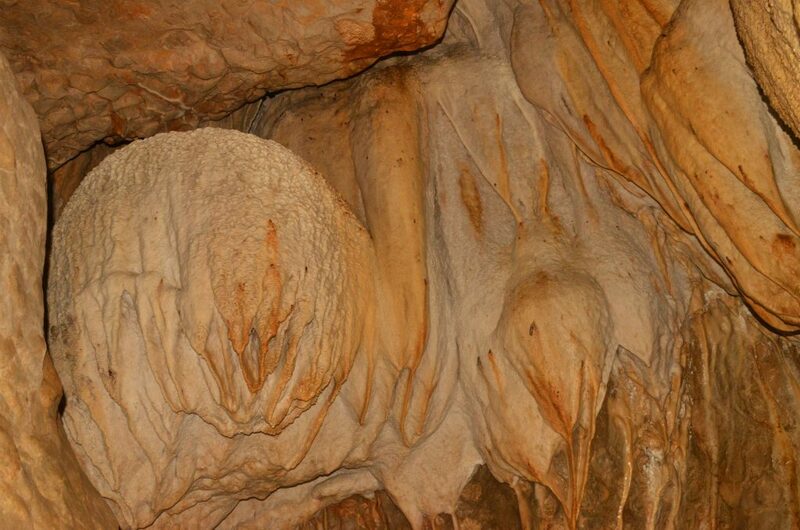 Among which is the Longog Cave, one that is worthy of further exploration and admiration. I only had the chance to visit the cave upon a friend’s invitation. You can bet. 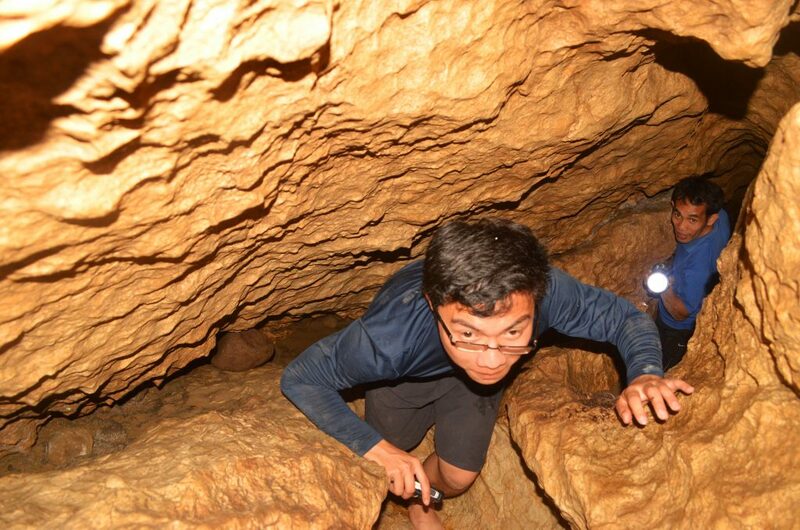 Sheer excitement enveloped me since it was my second time to do spelunking, the first one was in Sumaguing cave of Sagada. And I never regretted such spur of a moment decision of having to spelunk this remote wonder. 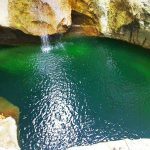 Longog cave is part of barangay Balakbak, just along the foot of the locally-famed Mt. Dakiwagan. From the Lasilas Junction located along the Gov. Bado Dangwa road, one needs to hike for 10 to 20 minutes to reach the entrance of the cave. Before the cave entrance, however, there is a booth where tourists must register. Entrance fee per head is Php 70 pesos. Before the cave’s mouth, one also needs to walk along a narrow hanging bridge. During the rainy season, a waterfall forms below and another waterfall cascades out of one of the cave’s openings. Accordingly, there are several openings to the cave, however, only the aforementioned is allowed for tourists’ entry. By the way, you need a guide when exploring Longog cave. The possibility of getting lost or trapped is evident. When we went there, my friend invited an experienced church mate to guide us. 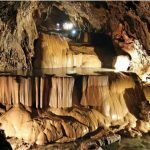 Longog cave is a self-contained paradise of beautiful stalactite and stalagmite rock formations. There are terraced pools with glimmering crystals when flashed with lights. Different animal figurines can also be imagined among the rock formations. 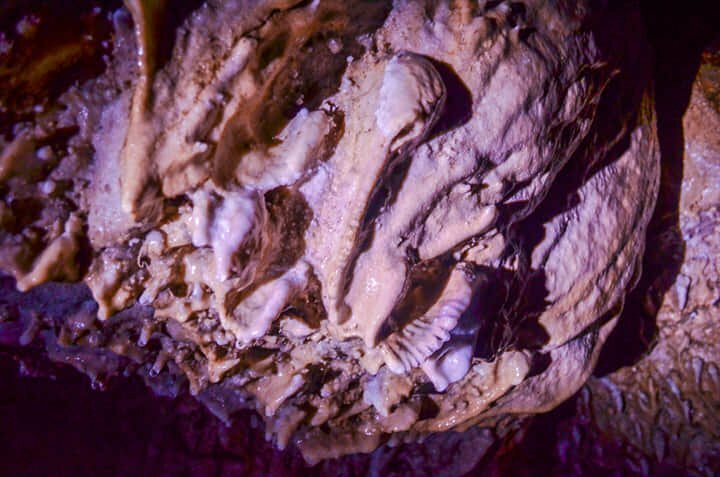 Trailing longog cave is not for the faint-hearted. There are openings which are too narrow that one literally needs to crawl with their belly on the muddy or sandy ground. Oh, these are instances where you get to test your limits. But if you are an intrepid adventure seeker, these are fun-filled experiences. We had to squeeze ourselves on some narrow openings to get inside. Fortunately, we crawled on partially dry sands. To get deeper inside Longog cave, one also needs to clamber over rock walls. Fortunately, these are not as smooth and there are crevices and rock openings to hold and step unto. These challenges may seem to exhaust you pretty well. But the rewards awaiting you will definite reinvigorate you. You might be even thrilled to check out more openings and gaze on more surprises. 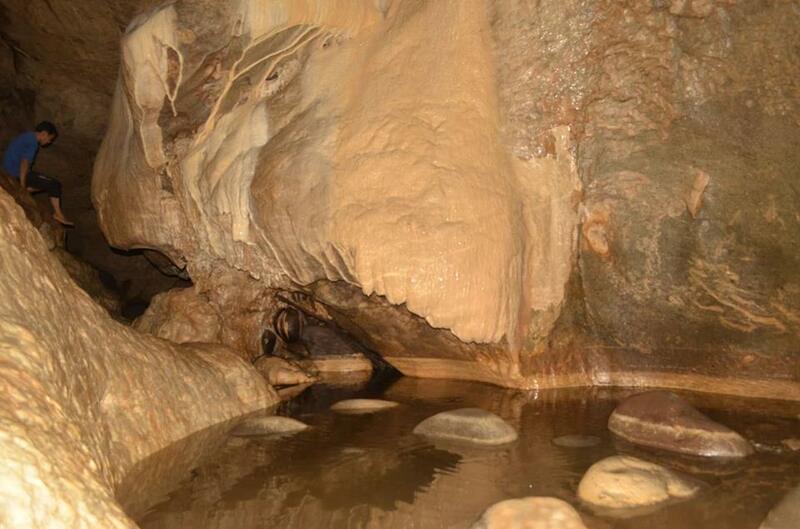 Behold this glistening pool, backdropped by beautiful rock formations inside Longog cave. Looks like ears of a donkey. 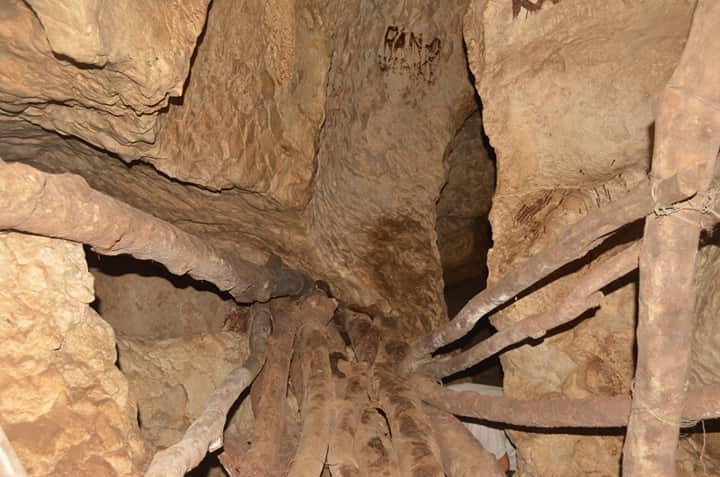 Accordingly, Longog Cave measures 14 kilometers long. However, only a limited portion is allowed for tourism activities. There is still the need for further validation of the deeper parts of the cave. Who knows what surprises can be unraveled? There are regular bus trips passing along Balakbak and which are mostly bound to Kibungan. You can hop on these. Just tell the driver to drop you off along the trail leading to Longog Cave. There is a signage there. These buses are stationed at Camp Dangwa (back of center mall) in Baguio City. From what I currently know, they have at least two trips in the morning and at least two trips in the afternoon. Along the entrance of Longog Cave, I noticed man-made markings on the rock formations. There were also a few plastic litters, some of which I discovered inside. 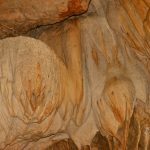 Caves, just like any other natural ecosystems, are fragile and sensitive to irresponsible actions. 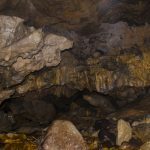 From what I’ve heard, there are existing guidelines for the cave. I just hope that these are being strictly implemented. 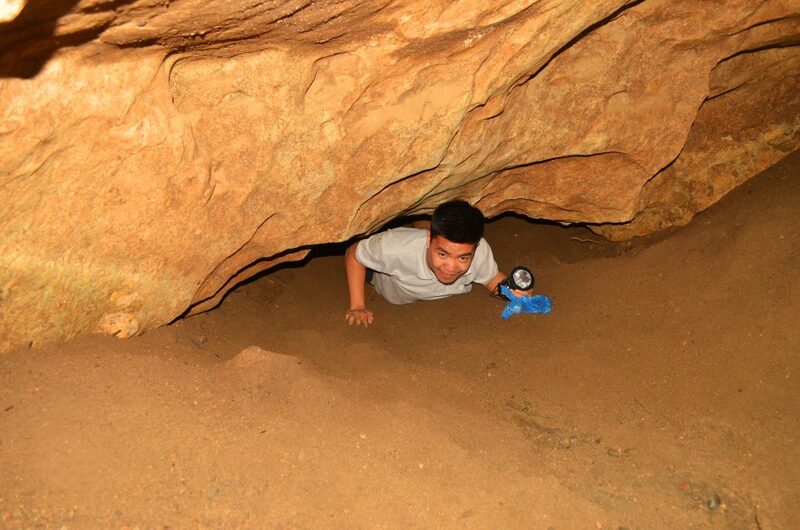 Tour guides should also be capacitated to be vigilant of acts that may damage the cave. 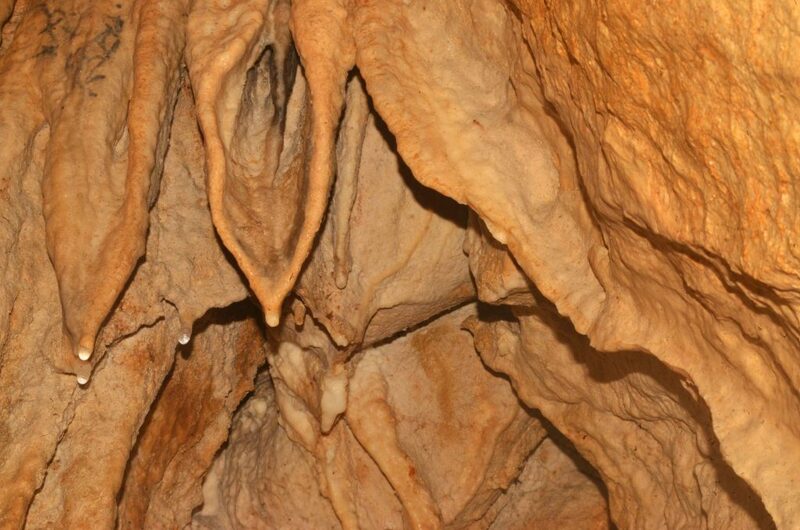 Longog cave is a pride of Kapangan. And thus, so much that is being appreciated, it should be well taken care of. Don’t ever litter along the trail and inside Longog cave. Dispose your garbage properly. Don’t create markings or inscriptions on the rock walls or formations. Always have a guide when entering the cave. Pay the necessary fees. This is your way of giving back to the community. Only explore where the tour guide is taking you. Don’t deviate from the route. 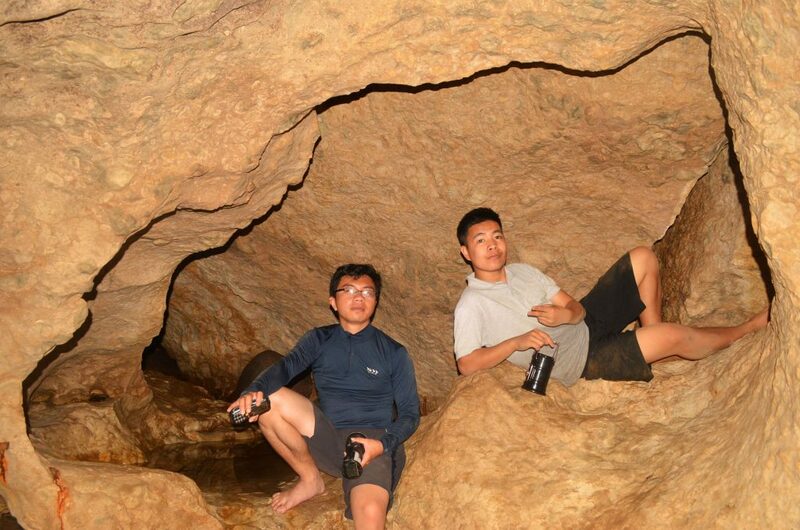 Enjoy every moment while inside the cave. There’s just so much to appreciate and learn. Nature can have a long array of surprises for you. Just be vigilant of them. 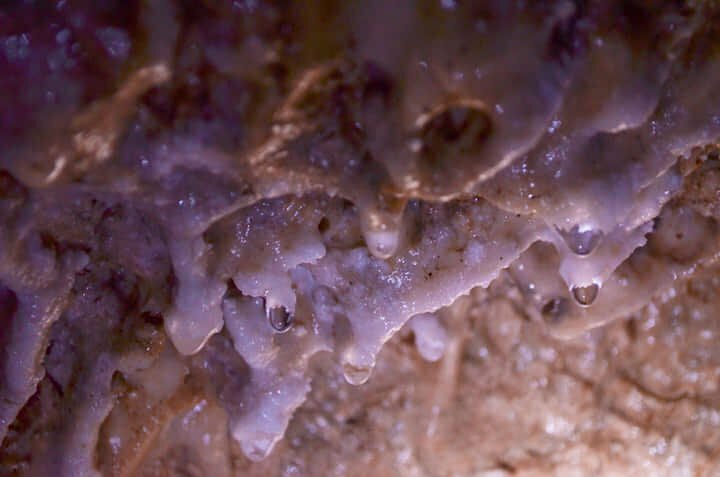 Never steal bits of stalactites and stalagmites. Remember, these takes hundreds of years to form. 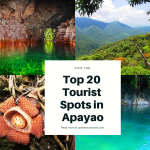 What Else to See in Kapangan? As I’ve hinted earlier, Kapangan, Benguet is a promising ecotourism destination. From what I’ve learned, the local government units (LGUs) is supportive to such endeavor. 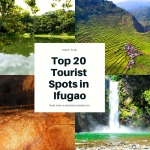 Aside from Longog Cave, here are some of places you may visit when visiting Kapangan. Mt Dakiwagan. This scenic mountain provides a dramatic background of barangay Balkbak. When viewed from a certain distance, different formations can be seen. Hiking to the top may take more or less three hours. The zenith offers a panoramic view of the surrounding mountains and plains. Amburayan River. This river plays an important cultural and historical role among the people of Kapangan and the neighboring municipalities. It has crystal-clear waters, making it fit for swimming. Different factors, however, threaten the said river. Thus, conservation measures need to be intensified. Badi Falls. 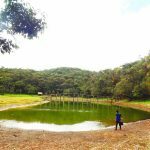 One of the fastest-growing ecotourism attraction of Kapangan. It has been gaining a buzz on social media lately. It is a series of waterfalls with different features and designs to offer. 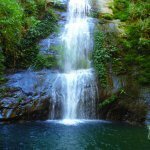 Badi falls entails hours of hike to reach. 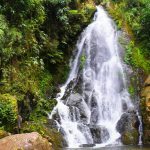 This majestic falls measures more or less 100 meters in height. 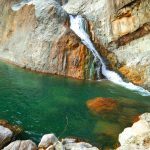 Its natural pool at its base offers swimming and picnic activities. 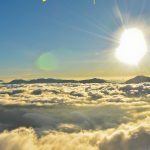 It is 48 kilometer from the City of Baguio for a travel time of 3 hours and 30 minutes. 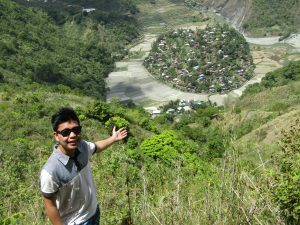 The distance from the Barangay station to the site is 5 kilometers that takes one and a half hour hike (Source: www.benguet.gov.ph). 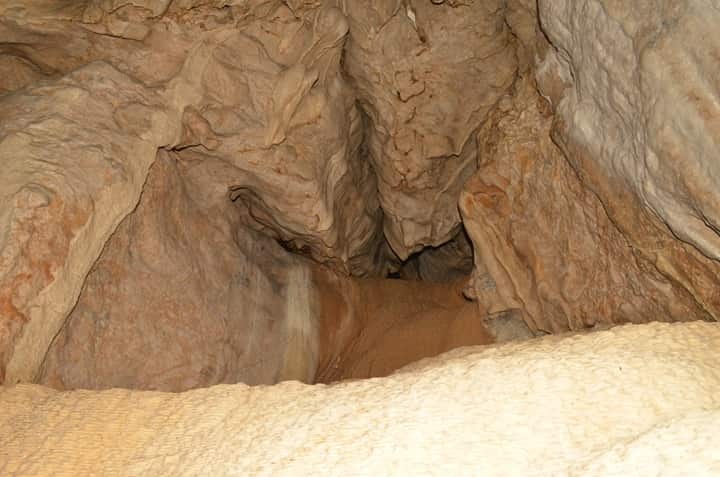 For more information about Longog cave and tourism in Kapangan, kindly contact Ms. Verlyn Mae B. Bastian, Municipal Tourism Action Officer, through the no: 09985776058. If you want to go there you can take a bus. 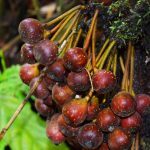 Balakbak.. Beling Belis as well and ask the people of balakbak am sure they will tell you where to find it and also a tour guide. 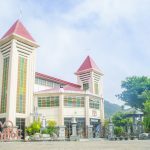 Youc an go to Dangwa station to look for a ride going there. Pwede po ba siya sa mga bata as young as 8 years old? Madadaanan po ba yung Amburayan river before makapunta sa Longog Cave? May map or guide po ba kayo para makapunta dun? Magkakalapit po ba yung mga spots? Kaya po ba in one day? Hello sir. How much po ang tour guide fee? Hi po Lans:) During our tour, we had a friend who guided us for free. 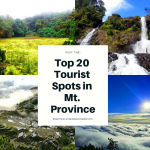 For guide fees, you may contact yung municipal tourism officer of Kapangan namely, Ms. Verlyn Mae B. Bastian through the no: 09985776058.